Amelia Brunskill’s debut novel, The Window, was published in 2018. The Window is the story of fifteen-year-old twin sisters, Anna and Jess, and Anna’s sudden death from a fall out of her second-story bedroom window. As Jess begins to process her grief, she starts asking questions and uncovers secrets to Anna’s hidden life. Amelia is a presenter at the Chicago Young Adult Book Festival , which takes place on April 6 from 10am to 5pm at Hamilton Elementary School in Lakeview. I spoke with her about her writing, the YA book festival, and being a writer in Chicago. On your website, your bio states that you write mainly, but not exclusively, young adult novels. What is it about the Young Adult genre that draws you to it? Specifically, what is the appeal of writing mystery and suspense for a younger audience? Part of what I love about young adult literature is that you are delving into a time in your characters lives’ with a lot of important firsts: first love, first heartbreak, first time alone behind the wheel, first glimpse of who they might become. There can also be such a great mix of vulnerability and cynicism in young people and I just generally have so much more patience for them then for grown up characters. In terms of writing mysteries for younger readers, I really like the emotional complexity and challenge of having a teenage protagonist deal with what may well be their first significant loss, while also searching for answers without any of the resources or emotional distance that someone in a formal investigatory role would have. You chose twin sisters as your main characters. There is a lot of cultural and pop culture interest in twins. Was this intended to facilitate identity swapping or to explore some deeper connection beyond just the sister relationship? Or neither or both? While I adore everything and anything to do with dopplegangers and identify swapping, for this novel I really wanted to explore the personal connection aspect of being an identical twin, particularly what it might mean to lose someone you are so intrinsically linked with. Also, from a mystery perspective, I was interested in how it might complicate trying to find answers when your very face is such a blazing reminder to everyone of a tragedy that they’re still processing. What are you most looking forward to at the Chicago Young Adult Book Festival? Are there authors who are attending you are excited to meet? I’m just really looking forward to hanging out with a bunch of readers and writers, some of whom I’m lucky enough to consider friends. In terms of writers I haven’t met before, I’ve heard really good things about This is Kind of an Epic Love Story, so it would be lovely to meet Kheryn Callender, and I also saw that Tyler James Smith worked as a mailman and is now an aide for CPS and I suspect that between those two jobs he has some great stories. What is your favorite aspect of the writing community in Chicago? Have you found there is a lot of opportunity for writers who write in various genres to meet? If so, how and where? Bookstores: The independent bookstores in Chicago are amazing and plentiful in a way that means I can basically never move away because almost anywhere else would be a huge disappointment. Bookstores been a huge resource for me to in terms of connecting with other writers, in terms of attending book launches and other bookish events that they put on. My most local of local bookstores is the Book Cellar, and they are really wonderful about putting on events and fostering community, so I’m on their mailing list and watch out for events there each month. Women & Children First is also wonderful, as is Volumes, and while unfortunately I don’t get down to 57th Street Books much, if I lived closer I’d be there all the time. Here is a good list that includes other wonderful area bookstores. Writing classes and conferences: There are so many resources in Chicago for people who want to either get started with writing or improve their craft. 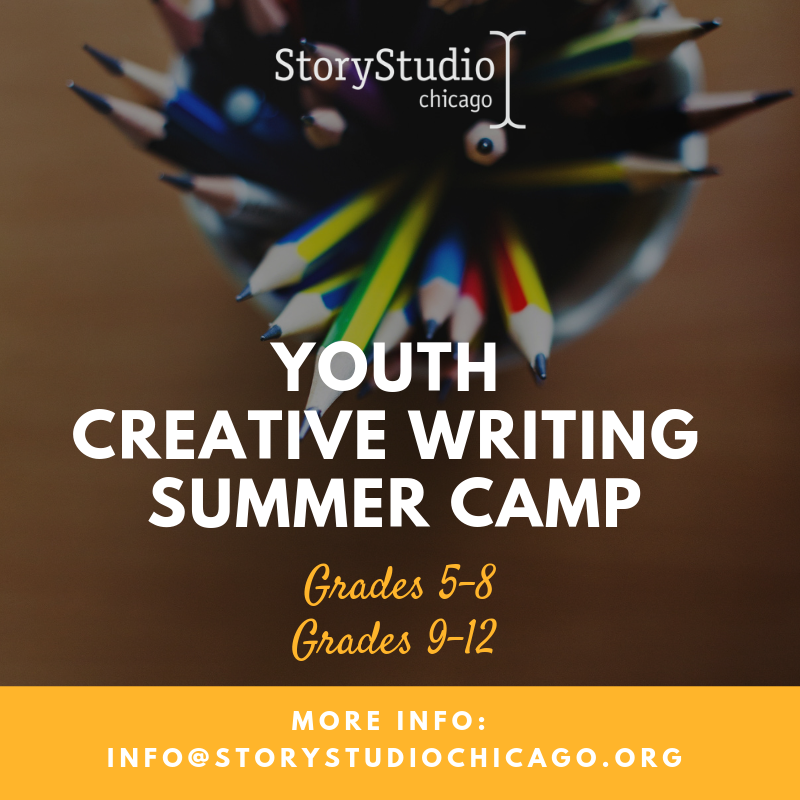 I’ve taken classes at StoryStudio Chicago, Newberry Library, and Chicago Dramatists, and they’ve all been excellent. Classes are how I, and a lot of other people that I know, have ended up forming writer groups—they are such a good way of finding people who you like spending time with and who are also dedicated to their writing, and can be particularly useful if you write in a less common genre. I’ve also had a lot of fun attending conferences here—on the mystery side, Murder and Mayhem in Chicago is a really fun conference, and then on the young adult side the Chicago Young Adult Book Festival is a wonderful and free conference for those writing (or reading!) young adult literature. Attitude: There is a wonderful lack of snobbery in the Chicago writing community. Some people I know who live in other places have experienced some eye-rolling when they mention that they write young adult literature, but I’ve never experienced that here. Several years back, I took the Novel-in-a-Year course at StoryStudio from Rebecca Makkai and I loved that all of us in that class were writing completely different kinds of books, including YA, science fiction/fantasy, historical, literary, and mystery, and we all got so much out of workshopping everyone’s work.